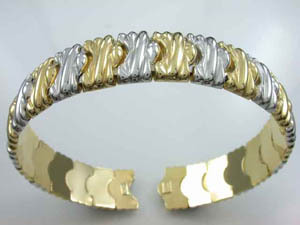 Ladies 18ct Two Tone Italian Bangle. 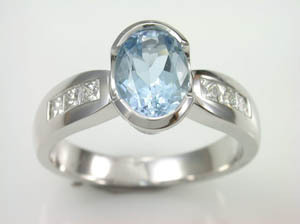 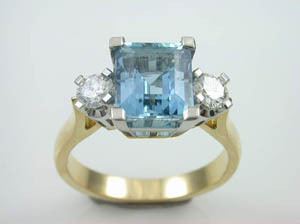 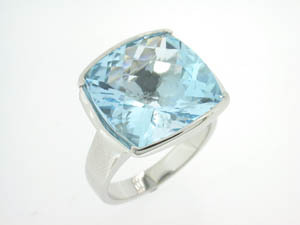 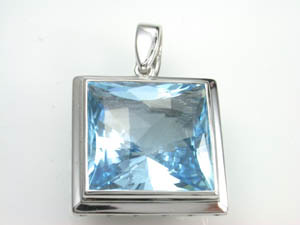 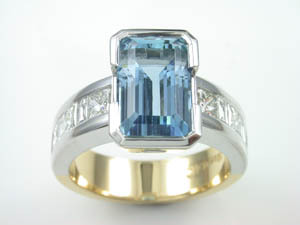 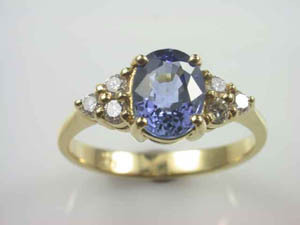 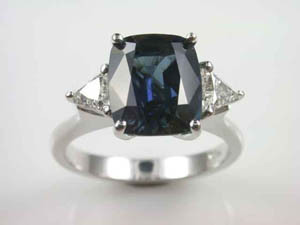 Ladies 9ct White Gold Blue Topaz Enhancer. 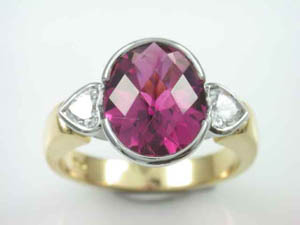 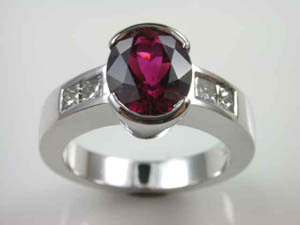 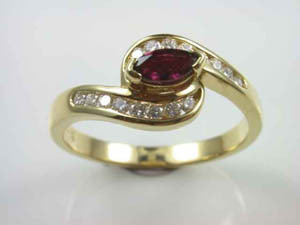 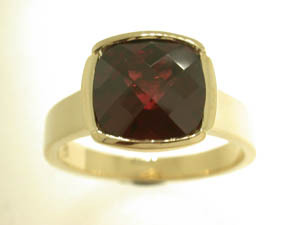 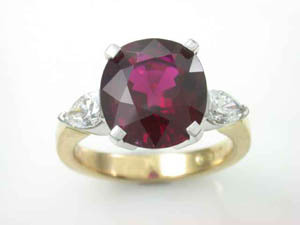 Ladies 9ct Yellow Gold Garnet Cushion Check Cut Bezel Set Ring.